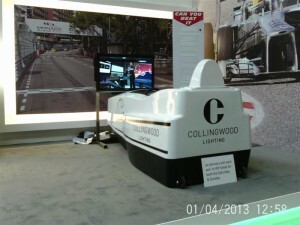 In June we took one of our F1 Cockpit Simulators to the UK to complete two bookings. 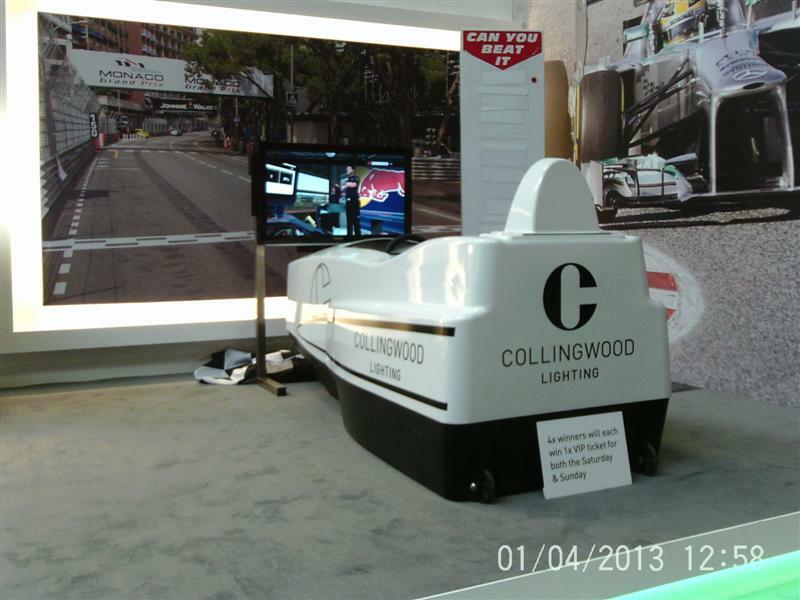 The first was for an exhibition in the NEC, Birmingham for two days for Collingwood Lighting as shown in the photo below. The second was at a venue in Mayfair, London where record four times F1 Drivers Champion, Alain Prost and his son Nicholas were the guests and subsequently drove the Simulator as shown on the F1 Simulators page of this website. This entry was posted in Uncategorized on August 20, 2015 by Robert Nutt.